The boat stopped in a tiny beautiful beach in Boracay, Philippines. Of course a bunch of vendors approached us selling all sort of souvenir. But one little girl came straight to me and gave me an anklet made of white shells. I tried to give it back because I didn’t want to buy it, but with big smile on her face she told me: “It´s a present for you because you’re beautiful!”, and she walked away. That was our welcome to Boracay, Philippines, the most famous and visited island in the country. A tiny piece of land located in the middle of 7.107 islands at the pacific ocean. I was expecting an over crowded place, over rated hotels and meals, and a so-called tropical paradise that was already transformed in a busy international town. Thanks God I was wrong! The smile and the gesture of that little girl broke the ice. I tried to pay her for the jewellery but she didn´t accept. That was the first lesson learned about Boracay, Philippines: the beauty of this country is not only the nature, but the people who live there and the smile they give to us all the time! I put my gift on my right ankle and I was ready to discover Boracay. And yes, it is a crowded paradise, it’s full of international tourists and of course it is more expensive than other small and unknown cities in The Philippines. However it´s a stunning island, and you never get tired of looking at the white sand beaches and the golden sunset. Boracay was more than we expected! 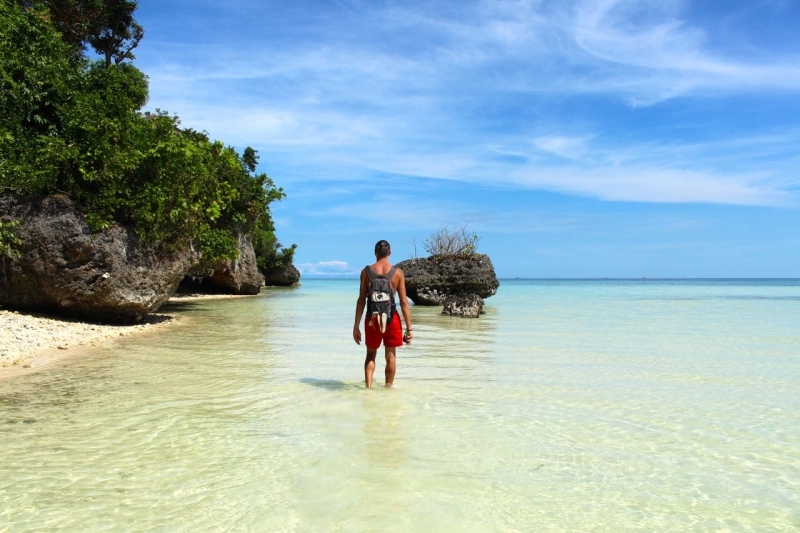 Travel to Boracay, Philippines, is not an ordinary trip. 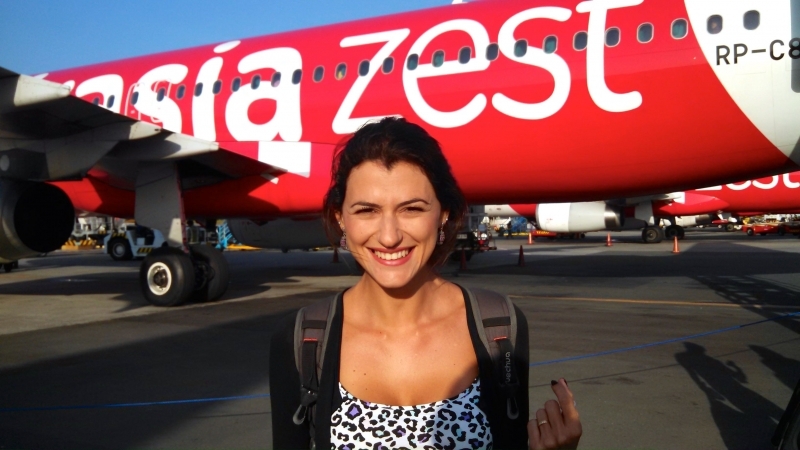 Most of the time it involves flights, buses, boat trips, some money and top expectations. If you are not prepared for it, there will be a big chance that you´ll end up saying that Boracay is not a worthy destination. Although, the problem is not Boracay, but actually how people organize their trip and what they expected to see and do there. 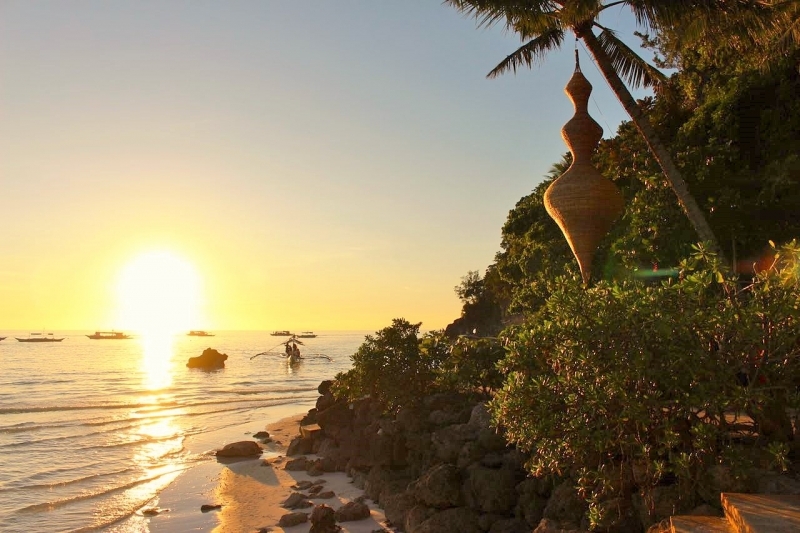 That said, the first thing you have to keep in mind is: Rediscover Boracay, Philippines! Boracay has options for all tastes and ages. From sunbathing on the White Beach, to scuba diving and kite surfing. There is no way you can be bored there, you just need to look around and be inspired by the beautiful nature. Prepare your snorkel gear, some fruits, water and go for a day trip around the island. There is no better way to explore the different islands and sea. You can hire a private boat from one of the fishermen on the beach, the day service will cost around $3.500 Pesos (80 usd) not a bad price if you have a small group of friends. Or you can do the same as we did: go for a day tour in a shared big boat. We paid only $750 Pesos (17 usd ) per person and it was included snorkel gear, lunch at a local restaurant and 6 stops for diving and swimming. Really a great deal! For me the boat trip was one of the highlights of our stay. 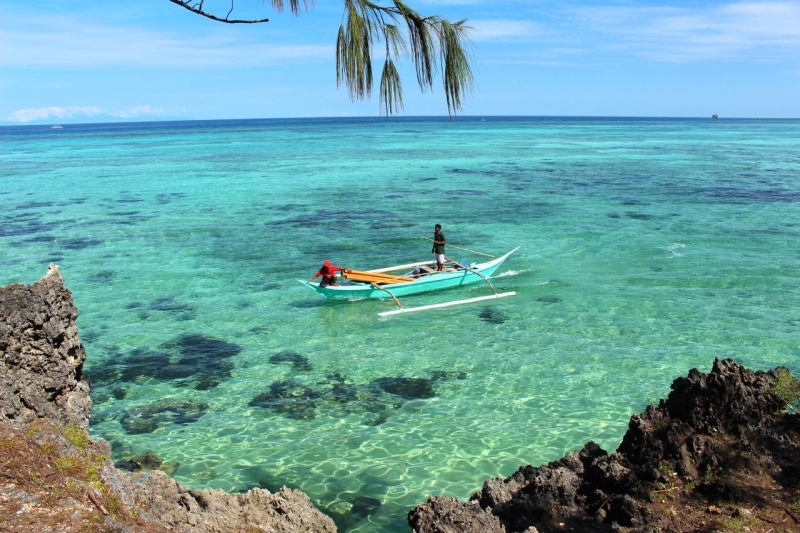 Even if you are not into snorkeling, the boat trip is a must thing to do in Boracay. 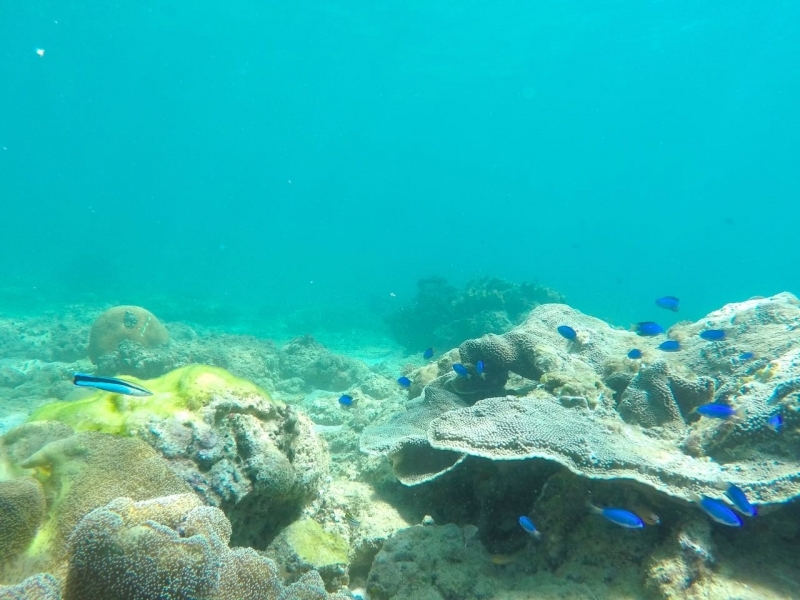 The sea life is gorgeous there, so many fishes, corals and crystal clear water. Rob couldn’t get out of the water, I got stung by a jellyfish, but even though I kept snorkeling. On our GoPro camera thousands of amazing underwater pictures. It´s never too late to learn a new sport! And this sentence is coming from me, a person that was never good in water sports and outdoors activities. But Thank God things change in life and I fell in love with stand up paddle. It was love on first sight, or better say, on the first paddle. Since we left Brazil I wanted to try SUP and it was in Boracay, Philippines, that I got the guts to do it. On the White Beach we rented a board for $500 Pesos per hour (11,50 usd) and Rob went to the sea with me. Rob surfs since he was a kid, so no secrets for him to get on the board. And surprisingly it was easy for me too. I tried only once, and suddenly I was on my two feet standing on the board and paddling towards the deep-sea. OMG!! No words to describe the feeling » Happiness + Freedom + Achievement + Love. If you want more adrenaline and the wind blowing on your face go for a Kitesurf experience! 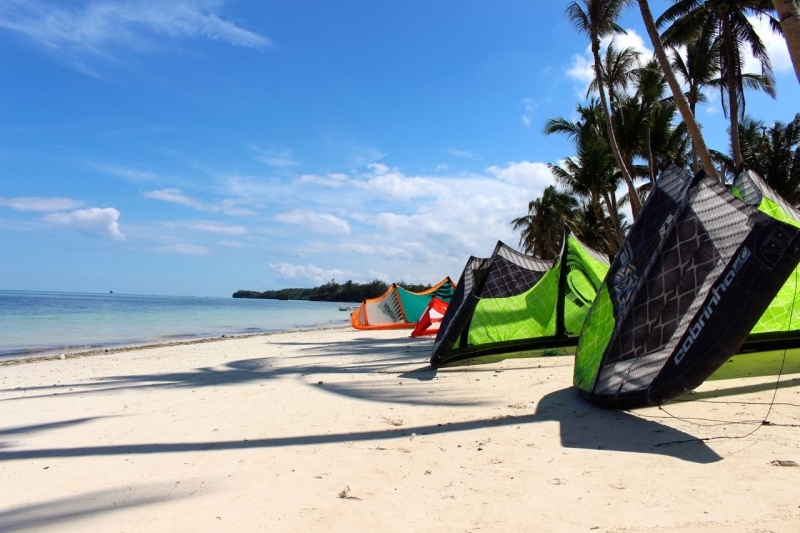 You just need to cross the island (from White Beach you walk towards Bulabog Beach – 15 minutes max) and you will find a paradise of coloured kites, tanned people and really cool atmosphere. Bulabog Beach is the opposite of White Beach. Despite the many hotels and resorts that lay on the sand this part of the island is still quiet. Bulabog breathes a different air. 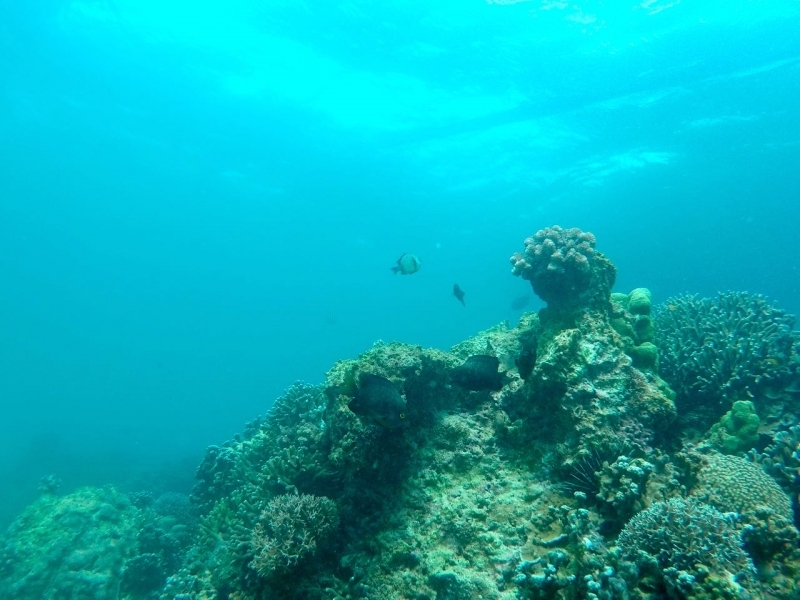 The crystal clear water of Boracay island is perfect for diving. On the White Beach you can find many dive schools offering courses from Discover Scuba Dive till the PADI Certification for Open Water Dive. The prices and the duration of the courses vary from each school. If diving is on the top of your “what to do in Boracay” list, go for it! I only recommend you to check all the info and the background of the company you choose, diving is a serious sport and safety needs to be your main concern. If you are not up to learn a new sport but definitely want to have fun in the turquoise water, Boracay has plenty of activities for you! On the White Beach you can find parasailing, jet ski, banana boat, and even a Mermaid lesson (you can learn how to swimming and act as a mermaid, how cool and different is that??!!). Far from the crowded streets, this beach is a hidden paradise in Boracay, Philippines. To get there you have to take a tricycle (around $100 Pesos – 2 usd per person), after 15 minutes drive you will arrive on this beautiful long beach with light blue water and coloured corals. The sand is a mix of corals and shells, and it invites you do sit and relax. The vibe is unique. All the people are enjoying the nature and swimming with fishes. We went to Puka Shell twice and chose it as our favourite paradise in Boracay. Puka Shell is not an urban beach, so go there prepared. There are some drink and food stalls there, but I recommend you to bring your own water, fruits and even a biscuit. I´m sure you won’t want to leave this paradise just because of some cravings! After an amazing day in Puka Shell the way back to White Beach can be a bit difficult. There are some tricycles waiting for the tourists on the beach, however the prices they charge are outrageous. Before getting to the drivers, talk to some people on the beach and invite them to share a ride with you, or walk away from the beach till you can find a tricycle for a reasonable price. 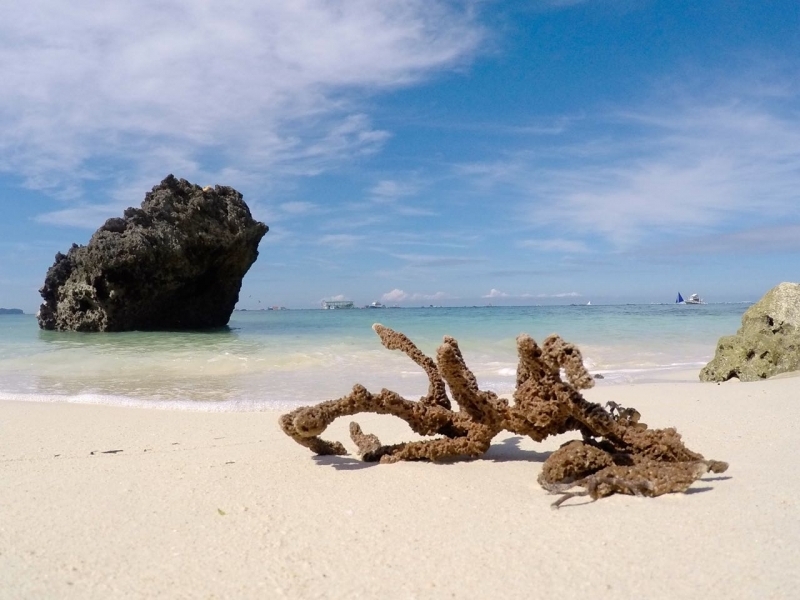 Boracay is not only the White Beach, Puka Shell and Bulabog, there are other tiny beaches hidden around the island. One day we decided to get a map of the city and walk through the streets until we found these amazing spots. If you have spare time on the island, this is something I highly suggest you to do, you won’t regret! In less than 15 minutes walking we reached some quiet and untouched places. We had the beach and the view just for us. The world “Perfection” and “Paradise” are not enough to describe what we saw and felt. Maybe a picture can do the service. 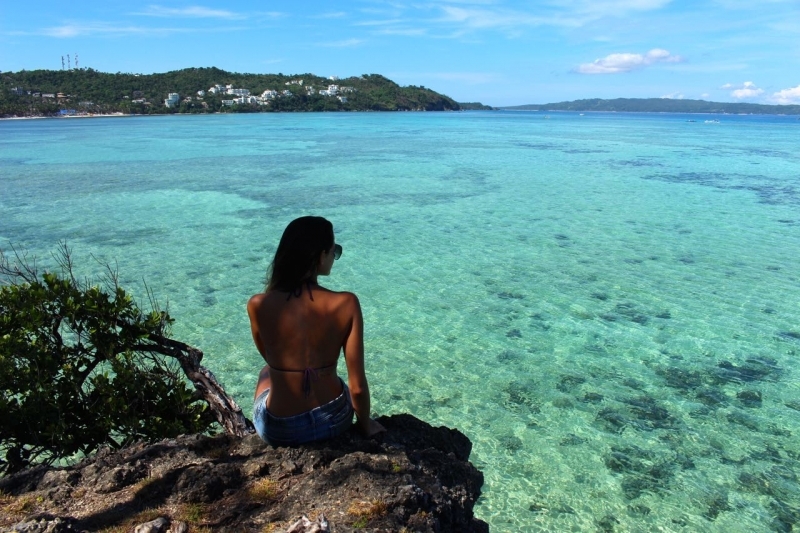 To make it even easier for you to find these hidden beaches check out this guide: The 9 Beautiful Beaches of Boracay. It is a detailed guide to Boracay’s known and not-so-known beaches written by Paul Fournier from BoracayCompass. 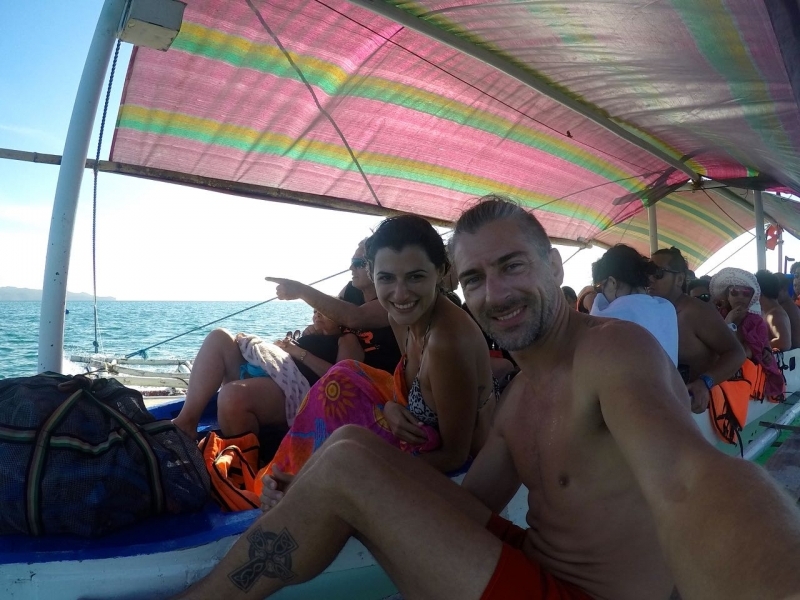 Paul has been living in Boracay as an expat since 2011. 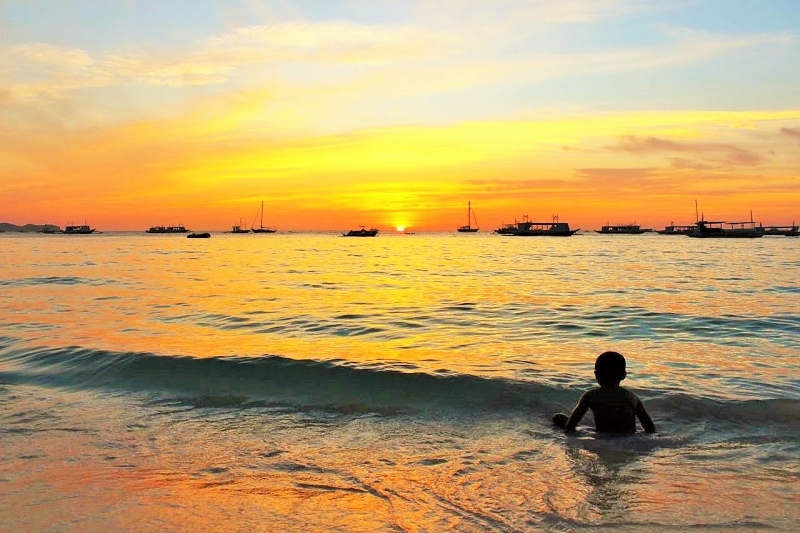 Sounds cliché to say that Boracay has one of the most beautiful sunsets we have ever saw. But that’s freaking true. Everyday, at 5:10pm, we give up on everything we were doing to walk to the beach and watch the sunset. It starts with an orange sun, pink blushed clouds and the sea that changes color between turquoise and silver… Couples, kids, locals, everybody come to the White Beach to enjoy the magical moment. The birds sing loud, the waves wash our feet while the sun kisses the water and paints the sky in a purple and orange tons. 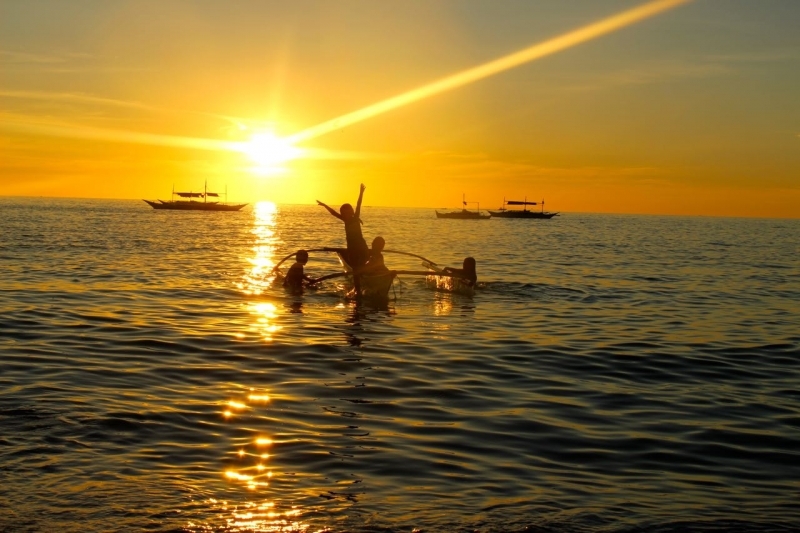 The sunset is such a special moment in Boracay that you can enjoy it in different ways. 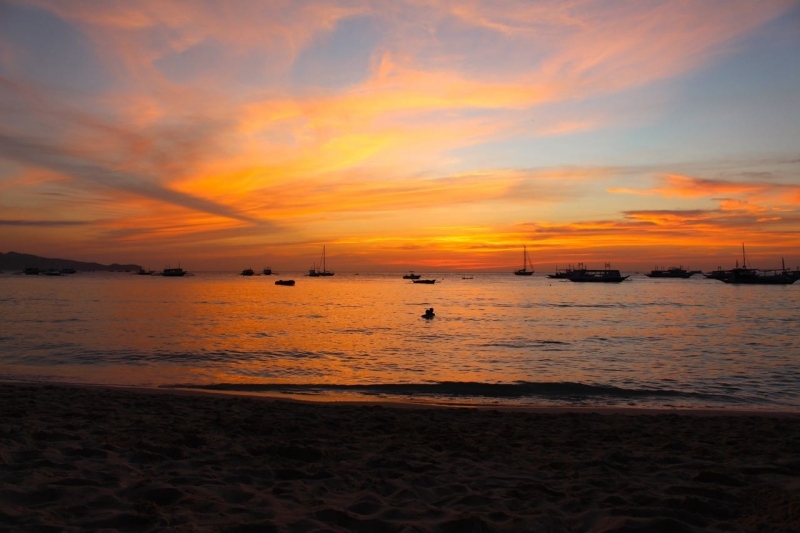 The White Beach is the common spot, but you can also go for a boat ride during sunset with music and drinks. Or you can walk to the far end of White Beach until you reach the Diniwid Beach. There you will find the Spider House Resort. Inside the resort, after you pass a tunnel on the rocks, you will find a beautiful bamboo bar where you can sit and watch the perfect sunset while sipping a cocktail. I tell you, life can`t get any better than this! Tired of the blue sea and white sand beaches? [if it is possible!!] 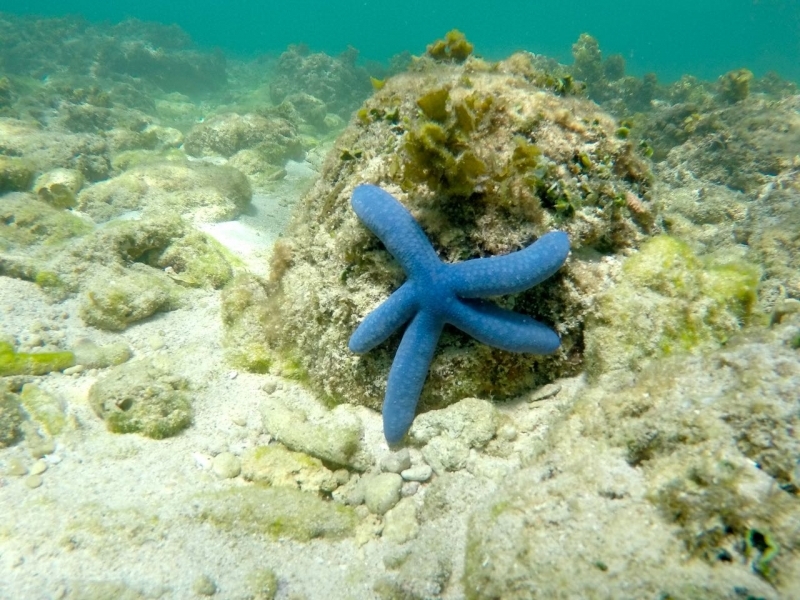 You can find nature and adventure on Boracay island too! You can fly like a superman in a 70 meter zipline or enjoy the stunning view from the cable car. As we are beach addicted and I discovered my new love for SUP, we didn’t go to the adrenaline park. However, I know that if you want to do the zipline and cable car, you can buy tickets and book your transfer to there from any of the tourist stall on the Mall. Most of the hotels have information and booking service too. As I already told you, Station 2 is where all the busy life is centred. On the beachfront you can find everything from super luxury restaurants to McDonalds and hot dogs. 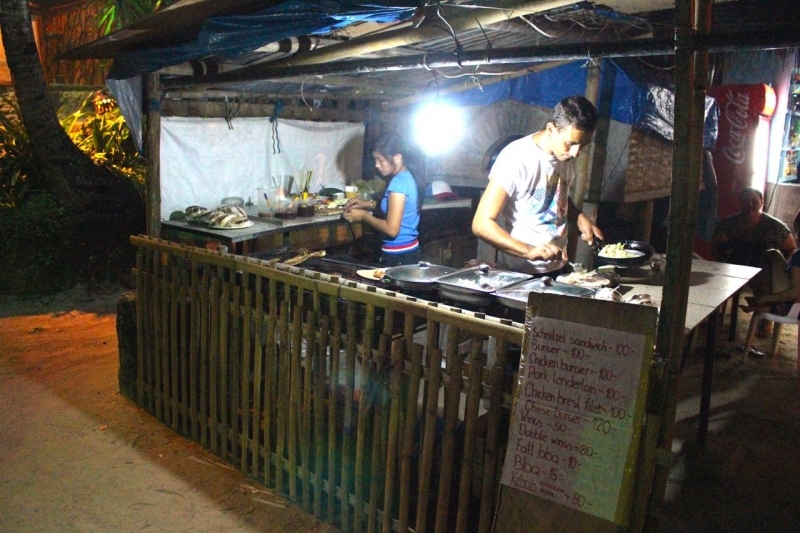 Seafood is the big call in Boracay, most of the restaurants sells it by kilogram and you can choose the fish or seafood still alive from the aquariums or shelves. For budget travellers [like us] you can find some options on the stalls on the beach: pizza, rices, kebabs and the famous fried chicken. Or if you want to avoid the fast food, there are some options of restaurants on “The Mall”, an open air shopping center full of shops, restaurants, markets, ATM and all sort of facilities you need. 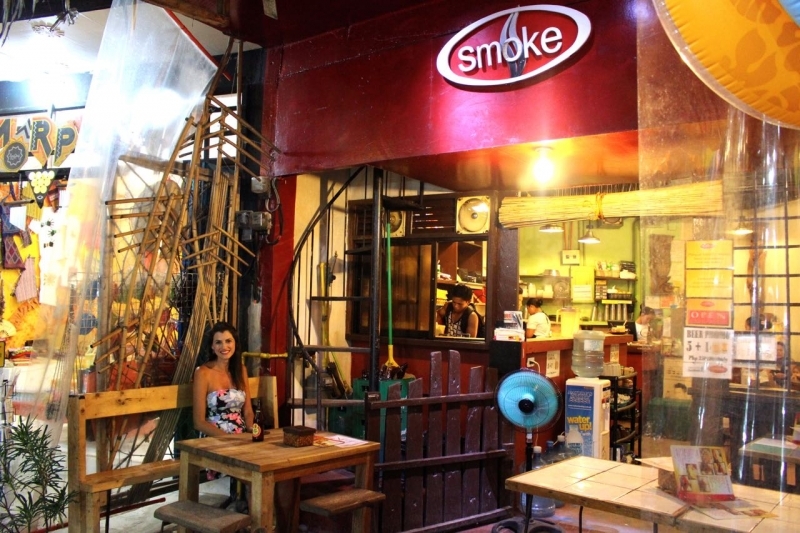 Our favourite place was the Smoke, a small restaurant on the Mall. Great food, reasonable price and happy hour deals! Boracay is the ultimate party destination in the Philippines. After the sunset tourists from all around the world get together at White Beach for some music, drinks and dance (not exactly in this order 😀 ). Bars and restaurants offer promotions of drinks till 10pm. Fire shows heat up the atmosphere and the beach became a flirt paradise. No doubt that the party highlight was the Boracay Pub Crawl. Please don’t judge us… I know we are on our 30´s, but no way we can resist a good party. And the Boracay Pub Crawl was the best pub crawl we have ever attended. Seriously, those guys are super organised and they know how to handle the party people. Thumbs up for you guys! If you don’t want to get wild (neither with a hangover) go to Station 3. There you can find reggae music and a local atmosphere. Small bars, candles and some guitars on the beach. We love it!! After the sunset you can grab a nice fresh Burger made by a Slovenian guy and enjoy the music. Now that you already know where to eat, how to party and what to do in Boracay, Philippines, let´s go to useful and practical information. 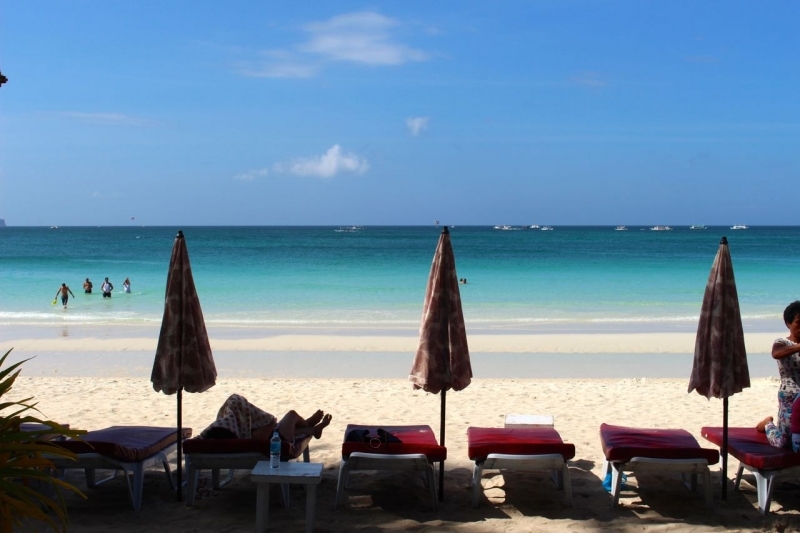 Where to stay in Boracay, and how to get to this paradise island! Boracay has many beaches and in all of them you can find resorts and hotels. Although if you want to enjoy the island and be able to do everything in a walking distance, the better place to stay in Boracay is the White Beach. Ok, this is the most touristy and busy area in the Philippines, but with our tips you will find a good accommodation in the heart of the island. This is the far end of the White Beach, the area of the luxury hotel and resorts. All kids of beautiful bedrooms and gorgeous villas, with your room door opening directly to the sand. Perfect place for weddings, romantic getaways and honeymoons. The price range of the places vary a lot, and no doubt the Shangri-La´s Boracay Resort & Spa is the most famous in the island. The property is located in a private beach, the rooms and service are rated as superb on TripAdvisor and booking websites. For more options of accommodation and hotels at the Station 1 check out Booking.com and Agoda. We are affiliated with them, and I´m sure there is no better place for search and book accommodation in Boracay, Philippines. Located in the middle of White Beach, Station 2 is the busiest part of the island. Restaurants, shops, supermarkets and tons of people. There you can find hotels and rooms for all budgets and tastes. » Nu Nu Noos Hotel – With a weird name, this hotel and restaurant is located in front of the beach. It´s a three star hotel and includes breakfast. We visited the rooms and is really nice and spacious. » Isla Gecko Resort – Two star hotel. It´s not in front of the beach, but a good alternative to stay in the busy area and still have some privacy and silence. Station 3 is the laid back area, where Filipino people, expats and tourists hang out together! There you can find the cheapest accommodation in Boracay, budget hotels and simple apartments are everywhere. Station 3 is the place where you can live like a local! After our three nights in Station 2, we move to Angol Road (Station 3). We found a nice apartment with kitchen, bathroom, balcony, one minute from the beach for only 30.00 usd per nigh, this rate was for high season! We walked one morning around the city browsing hotels until we found a good match for us. There are many resorts in Bulabog Beach that offer holiday packages. You can book your kitesurf course and accommodation in only one place. If Bulabog sounds like a paradise for you here is some nice hotels we found there. How to Get to Boracay, Philippines? Philippines is an archipelago with more than 7 thousand island, divided into 3 geographic regions: Luzon, Visayas and Mindanao. Boracay is a tiny island located in Visayas, central part of the country. A sunny destination that can be only reached by boat. But as we all know: Paradise is never on a easy road. To get to Boracay, Philippines, you will have to fly to Manila and Cebu (the two big cities in the country with international airport) and then fly to Kalibo or Caticlan, the closest towns to Boracay. Happy news: budget airlines like Cebu Pacific and AirAsia have daily flights to there 🙂 Keep an eye on their websites, you can get super cheap flight to/from many other cities around Southeast Asia. At the front door of the airport you will find plenty of options: buses, minivans and tricycles ready to take you to the Caticlan Pier. My personal advice, don’t get the first you find. Check out at least two or three services, prices and timetables. We landed at Kalibo and got a minivan to Caticlan for 200 Pesos (4.5 usd). After one hour drive we were at the pier. Love and Road Tip: get to the pier before 6pm! During daytime the boat fare is $25 Pesos (0.50 usd) and you also have to pay the Environmental Fee $75 Pesos (1.50 usd) plus the Terminal Fee $100 Pesos (2.25 usd). During night-time the boat ride rises to $100 pesos per person. Be aware that when you leave Boracay you have to pay only the terminal fee and the boat ticket. How to Get Around Boracay Island! Boracay is a small island in Philippines. The White Beach has 7 km of shore, super easy to move around. You will need the tricycle only to go to Puka Shell Beach or the Adrenaline Park, and a ride would not cost more than $200 Pesos (4,50 usd). When you need a tricycle try to get one with some people inside already, that means you will pay less than if you get an exclusive ride. Bargain till you find a fair price for you and for the driver. Everybody speaks English in Philippines, especially in Boracay. Remember that girl I meet when I arrived in the island? So she was only one example of how Filipino people are kind and careful. While rediscovering Boracay, go away from the front beach street once a while. Get to know the small alleys and the local roads. You will see that people there live in really simple way, but they are blessed for living in the paradise. I never get tired to say that Boracay is a stunning place. The Philippines wasn’t in our “master travel plan”, but after talking with some friends and hear amazing stories about the island we decided to change our route and land in Boracay for a few days. I regret we didn’t stay more. Boracay is a very touristic destination (and expensive if compared with the other islands in Philippines), but still has lots of beauty to explore. You just need to look beyond to the travel guides and rediscover your own and personal paradise. Hope to see you in Boracay, Philippines, because definitely we will be going back there soon. 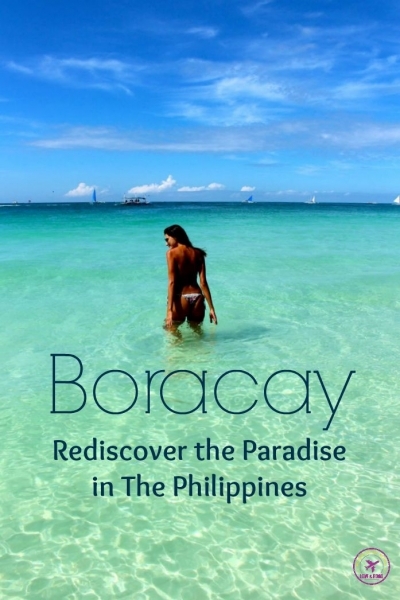 A great introduction to Boracay … I’m heading there in March, so this got me more excited for the trip there. Any hostels? If so, what would you recommend? Also, any cafes with strong wi-fi? Summer in Sydney - What to do?